I've made some changes to Noah's room that I'll be blogging soon. 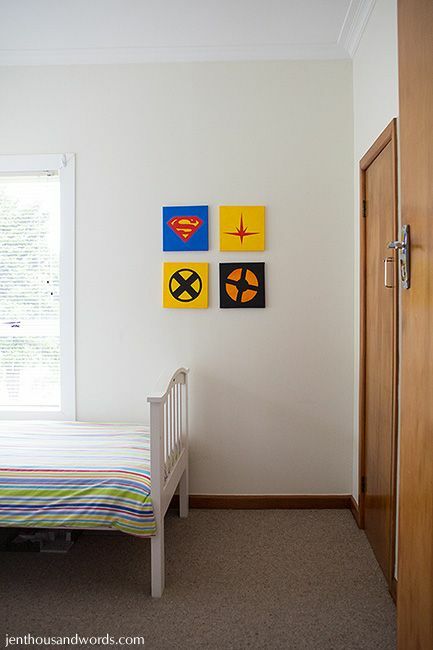 I wanted to pep up Daniel's room too, but he just wants to keep it simple and didn't want anything done except some artwork on the wall. 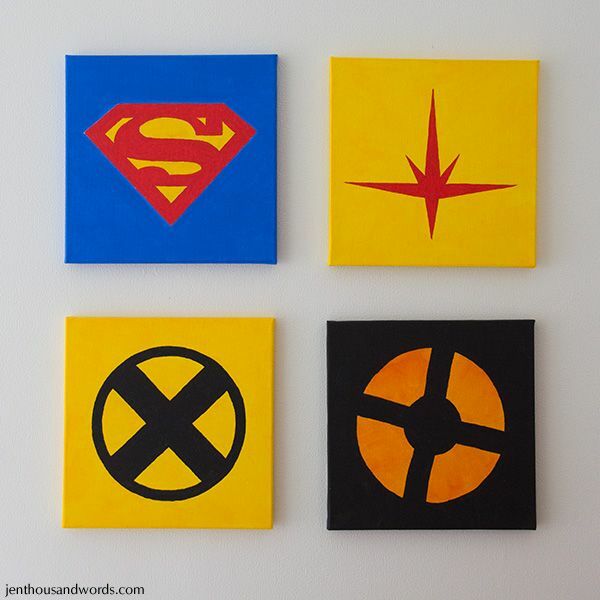 He chose the designs (Superman, Nova, Xmen and Team Fortress) and I painted them onto 25cm (almost 10 inch) square dollar-store canvases with acrylic paint. Luckily he is very happy with them (and I really enjoyed making them!) Total cost: $10 for the canvases as I already had the paint.